The A-Class soars 81%, helping Mercedes post its highest share since August 1980 at 12.6%. Updated with all Mercedes market share records from 1974 and 1980. The largest new car market in the European Union, Germany has gone wild in the past couple of months under the impact of the new WLTP emissions standards put in place on September 1. After an artificially euphoric Summer (July up 12.3%, August up 25%), new car sales logically fell back to earth in September (-30.5%) and while most markets seem to have ironed out their post-WLTP hangover, October sales in Germany are still reeling at -7.4% to 252.628, leading to a year-to-date tally up just 1.4% to 2.926.046 units. The main overuser of artificial pre-WLTP registrations due to a non-compliant lineup, the Volkswagen Group imploded 61% last month to just 20.1% share and is down another 28% in October to 28.4% share vs. 36.4% in October 2017 and 36.8% so far in 2018. After crumbling down 62% in September, the Volkswagen brand (-19%) is still freefalling but returns to its traditional pole position in the brands ranking. Audi (-64%) remains in extreme difficulty at #9 and 3.1% share vs. #3 and 7.7% YTD, as do Bentley (-90%) and Porsche (-74%) while Seat (-12%) and Skoda (-9%) soften the blow. The new generation X3 (+226%) helps lift BMW up 26% in October. Main beneficiaries from the black hole left wide open by VW and Audi, Mercedes and BMW align outstanding results once again this month, posting the two largest year-on-year gains in the Top 15. Mercedes soars 19% to post almost 40-year high market shares for the second month in a row at 12.6% vs. just 11.2% last month. 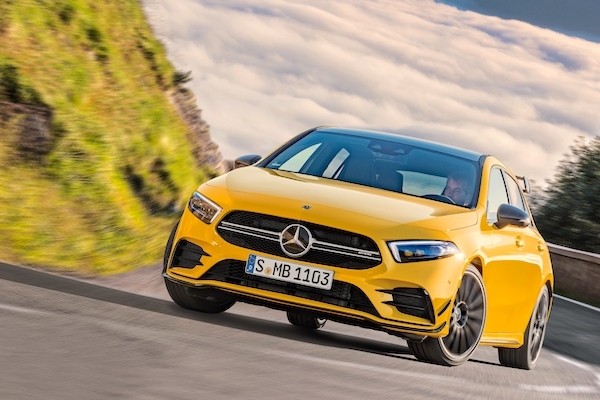 This is Mercedes’ highest market share in Germany since August 1980 when it reached 14.4%, its all-time monthly record being 15% in January 1974 at a time when the Mercedes Strich 8 topped the models ranking outright. After topping the overall German brands ranking for the first time in history last month, BMW recedes to third place but soars another 26% to 9.3%, a solid two percentage points above its YTD level of 7.4%. Ford (+5%), Toyota (+2%) and Opel (+1%) also go against the grain and post upticks in the Top 10, while further down Mitsubishi (+63%), Smart (+24%), Lexus (+21%), Volvo (+21%), Mini (+20%), Fiat (+16%), Jeep (+16%), Mazda (+12%) and Honda (+10%) make themselves noticed. Overusers of artificial pre-WLTP registrations pay the price: Infiniti (-72%), Nissan (-52%), Renault (-37%), Land Rover (-36%) and Alfa Romeo (-24%) properly sink, as do Tesla (-61%), Ssangyong (-35%) and Peugeot (-18%). Audi is far from recovered from post-WLTP hangover: -75% in October at home. Model-wise, the VW Golf (-15%) is comfortably back to five-digit volumes at 17.291 and 6.8% share vs. 6.2% YTD but posts another double-digit decline while the VW Tiguan (-11%) is back up 70 spots on September to #2 and 2.2% share vs. 2.3% so far in 2018. The Mercedes C-Class (+10%), Ford Fiesta (-5%) and Skoda Octavia (-7%) round up the Top 5 while the second half of this Top 10 all score double-digit gains: the VW Polo (+108%), Mercedes A-Class (+81%), BMW 1 Series (+40%), the Mini lineup (+20%) and Opel Corsa (+12%). 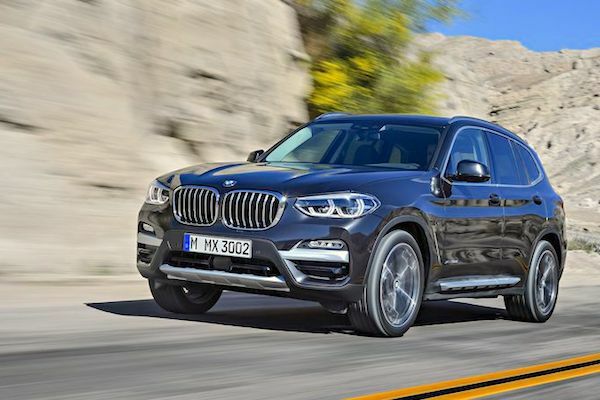 Further down, great performers include the Skoda Karoq (+381%), BMW X3 (+226%), Hyundai Kona (+220%), Mitsubishi Space Star (+180%), Ford Ecosport (+83%), Mercedes B-Class (+58%) and BMW 3 Series (+43%). 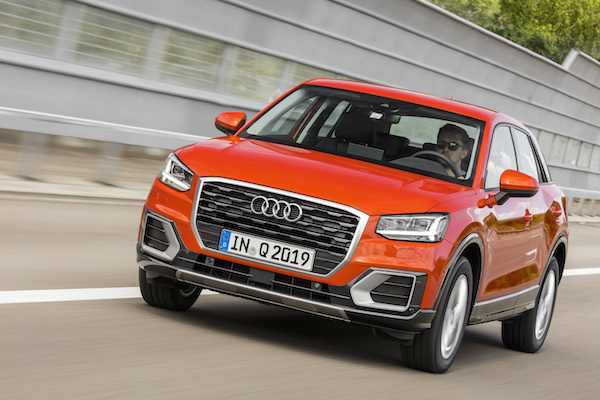 Now that the VW T-Roc, Seat Arona and BMW X2 have crossed the one year mark, the most popular recent launch (<12 months) is the Volvo XC40 (#82) above the Audi Q8 (#128), Jaguar E-Pace (#173) and DS 7 Crossback (#175). Full October 2018 Top 50 brands and Top 320 models below.